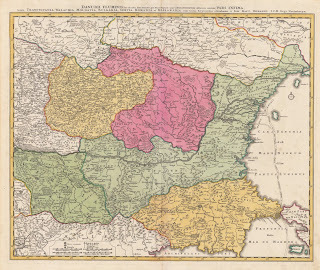 What can a map about Transylvania tell us about Hungary, Austria and Romania? There are many maps one can look at to learn about the people and the land of Transylvania. I particularly like looking at maps because sometimes they can speak from the past far better than people can write. You can create a map, but then you can also argue over it. People can say that this map shows a more German influence, and was possibly produced for the people who spoke German. Under the heading Transylvania, a person can see the German title "Siebenbergen" which was roughly translated in English to: seven castles. Transylvania itself gives a person so much to think about and so do the maps. 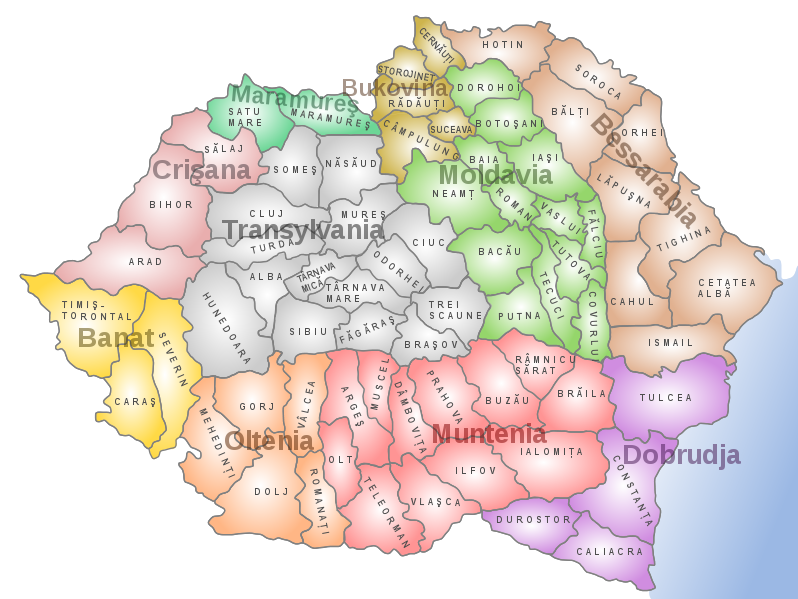 They show the relationship between Hungary and Transylvania, and they also show Romania and the principalities which became Romania in the 1800s. However, it wasn't until 1918 when the people of Transylvania decided to form a union with Romania, the notable exception being the Hungarians who wished to remain in union with the Kingdom of Hungary. Before this time, the Grand Principality of Transylvania, was a part of the Empire of Austria, as was the Kingdom of Hungary. In fact, the map to the left shows the large area which the Austrian Empire had. The Kingdom of Romania bordered this Empire, which was more of a patchwork of people and cultures. Each map shows different details, and this is important when researching Transylvania and where it lies within Europe. The map to the right shows a person Transylvania in Hungary and the surrounding Central European countries. This map is a also a work of art, and it is debatable if the people who produced it saw it as more of an informative map or as a work of art. This shows the grow of Central Europe and the Kingdoms which were founded following the many uprisings against the Ottoman Empire. This is a further breakdown of the land of Transylvania, Romania and where it was. The Banat and Crisana, and some other places are shown so that a person can understand "where is Transylvania?". Often most people who have never been to Romania or Hungary do not realize that the Banat borders the country of Hungary. The Banat, is not a part of Transylvania proper but many consider it to be a part of the larger more ancient principality.